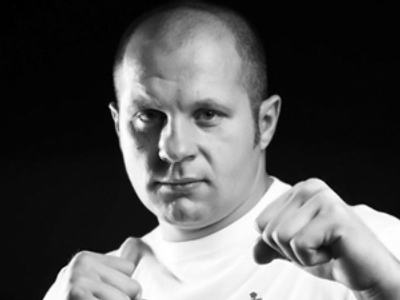 Russia has a long tradition of producing top male fighters in the martial arts. But now one Russian woman is making a name for herself in the hard world of mixed martial arts. Blue eyes, soft smile and stunning combat skills – all in one. Yulia Berezikova is the only famous Russian girl in the world of mixed martial arts so far. She’s familiar with a wide range of techniques including boxing, judo and combat sambo, and has numerous domestic champion’s belts in various disciplines. A few years ago, she tried herself in the international arena and proved Russia's mixed fight pride is not only about Fedor Emelyanenko. The right place to catch Yulia this time around was Kostya Tzyu's boxing school in Moscow. “When I first saw what mixed fighting looks like, I was very interested. It was exclusively a man's world then, but I tried to mix it up with male fighters, and become the first lady to train and perform on level terms with men,” Yulia explains. ”Actually, I always hung out with men, was fond of male hobbies, so it's no wonder that martial arts attracted me so much,” she adds. There's only room in the sport like this for the courageous and mentally strong, whether it's a man or a woman. In April 2008, during the Russia versus the World clash, Berezikova took on Japan's Megumi Yabushita and accidentally broke her own hand due to an unlucky punch in the first minute of the fight. “I tried to refocus on the fight at once, as I realized I would only have one hand to fight. My left hand, while I'm a right-hander. And, of course, I couldn't display anything to indicate I was injured. The key to success was in my mind and intelligence then, but not in my fists. I was as concentrated as possible and won the fight tactically,” she says. A skilled and dangerous fighter, she is still a pretty woman. Looking at Yulia, it is hard to guess what she really does for living. “I think I care much more about the way I look than regular girls. Long hair, exhausting training sessions – all this makes me spend more time on my appearance, make-up and hair,” she says. ”Plus, you can't tan properly because of showering two or three times a day after training sessions. Her looks can both break men's hearts and turn into an additional advantage over her opponents in the ring. “Many other female fighters don't really believe in my skills as I'm pretty slim and feminine. They say ‘I'll tear her into pieces’,” Yulia says. Yulia has saved another surprise – she's a graduate in psychology and will soon finish a book of her own. But her main interests still lie in the field of martial arts, where she believes she has a great deal of goals to reach. “Self-perfection is the best term to describe my philosophy. I aim to get better and better from bout to bout, and become the best pound-for-pound fighter like Kostya Tzyu or Roy Jones did. I'm still making my way to the top and far from resting on my laurels,” Berezikova says. Her next bout is scheduled for the end of September at the World Martial Arts Festival in Seoul. Her opponent is yet to be confirmed.